Picking up large label rolls with up to 300 mm diameter. We gladly assist you in the selection of proper ribbons. Achieve labeling consistency and flexibility for GHS and barcode labels across the global supply chain. White backlight provides good readability. The three-part tightening axles enable the ribbon to be quickly and easily exchanged. One is fixed at the inner side. The second is adjusted that far to the edge of the label until a good print image is ensured. to be used with labels that are only partially printed. 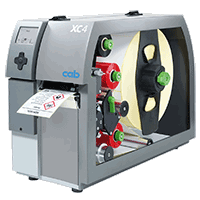 Within unprinted areas the print head is lifted and the ribbons is stopped during label feed. picking up label rolls up to 300 mm. With the help of the swing lever and the integrated brake labels are unwound with constant tension. 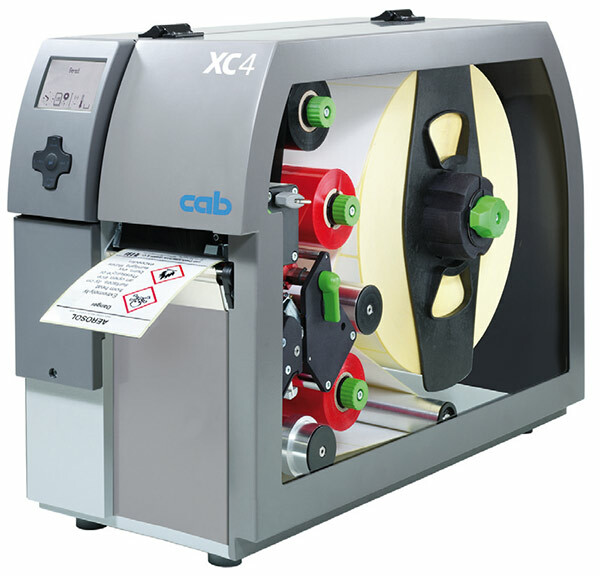 Fanfold labels are set behind the print unit. The guide and the additional brake ensure that they are safely fed to the print mechanics. Learn more on replacing assembly units, adjustments and troubleshooting for XC series. 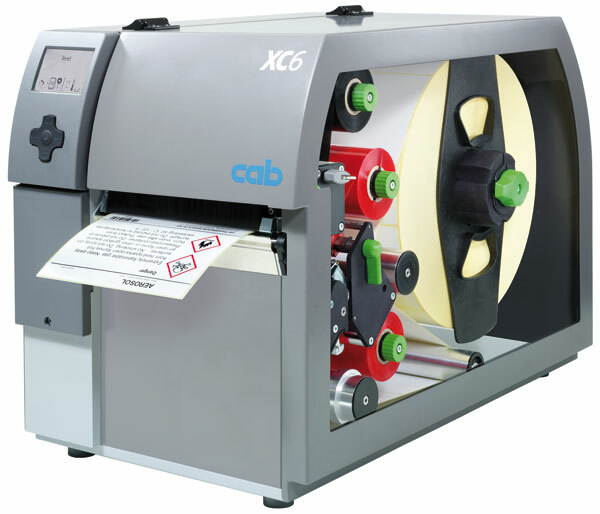 Controlling cab label printers quickly and easily from SAP R/3 using SAPScript.